Scarborough is the UFO capital of Britain. Why not celebrate this with some alien-themed jewellery? Bond Jewellers of Huntriss Row have done just this! The jewellery, based on a painting by the shop’s owner (Starman), part of his “Off-the-track Abstract” project is manufactured in sterling 925 silver and rhodium plated with real emerald eyes. 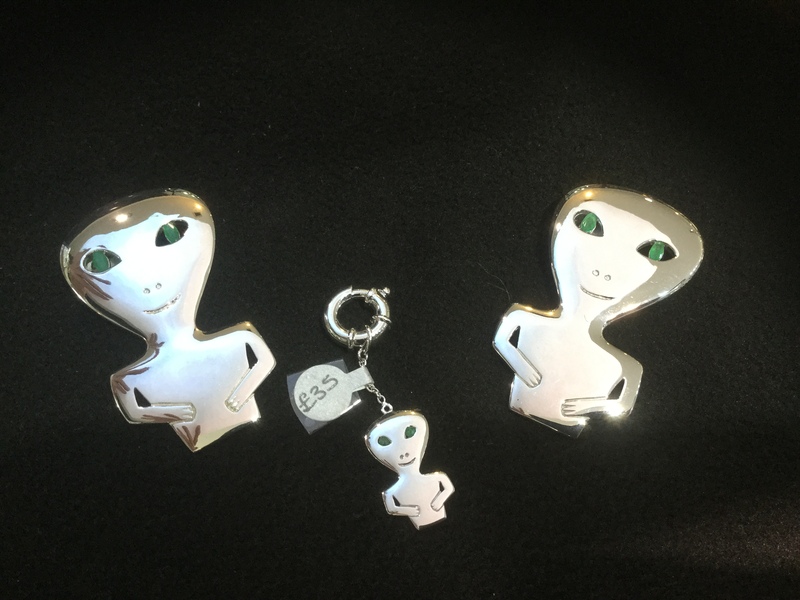 Available in a range of different products from a ring to a money clip, this “alien” jewellery really is at home in Scarborough. Why not visit the shop and take a look for yourself? Some of the alien jewellery range available at Bond Jewellers, Huntriss Row, Scarborough. Starman. 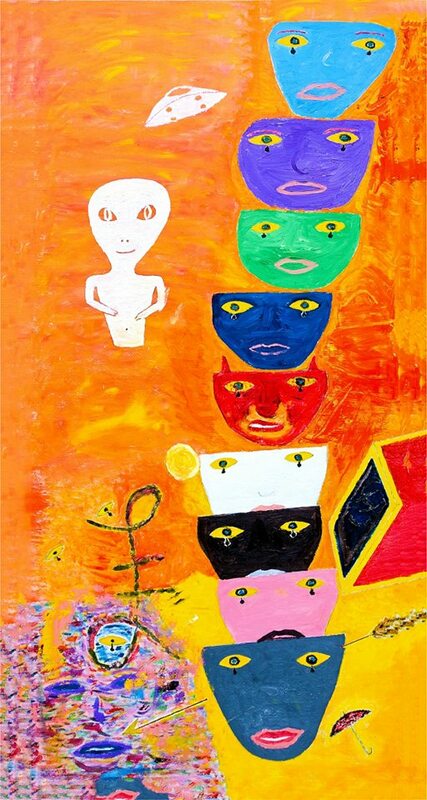 The painting that inspired the unique alien jewellery range, only available in Scarborough.